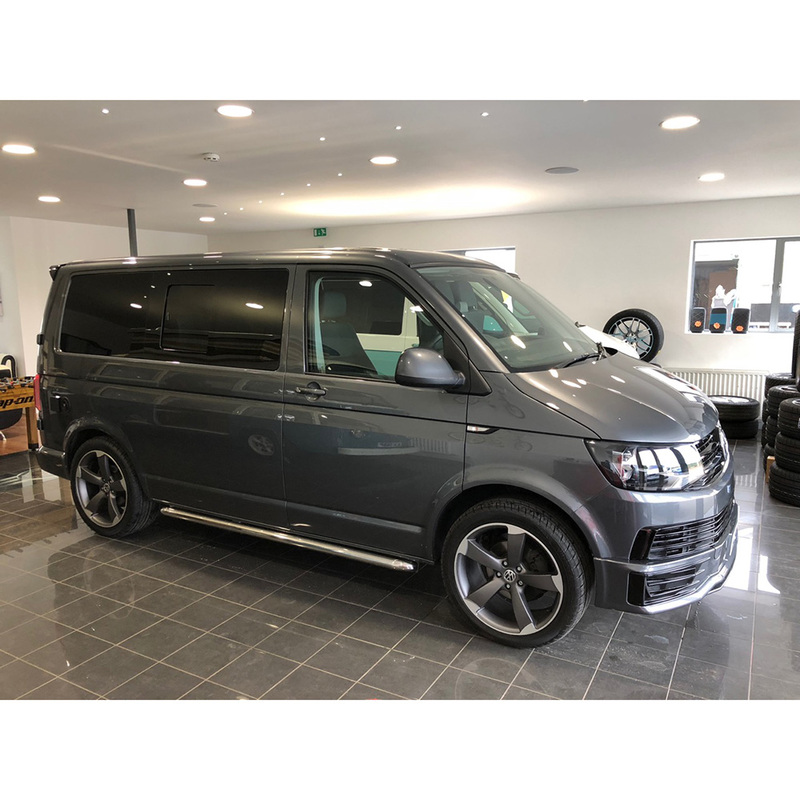 We are delighted to be able to offer you this VW T6 Trendline 102PS, in Indium Grey. 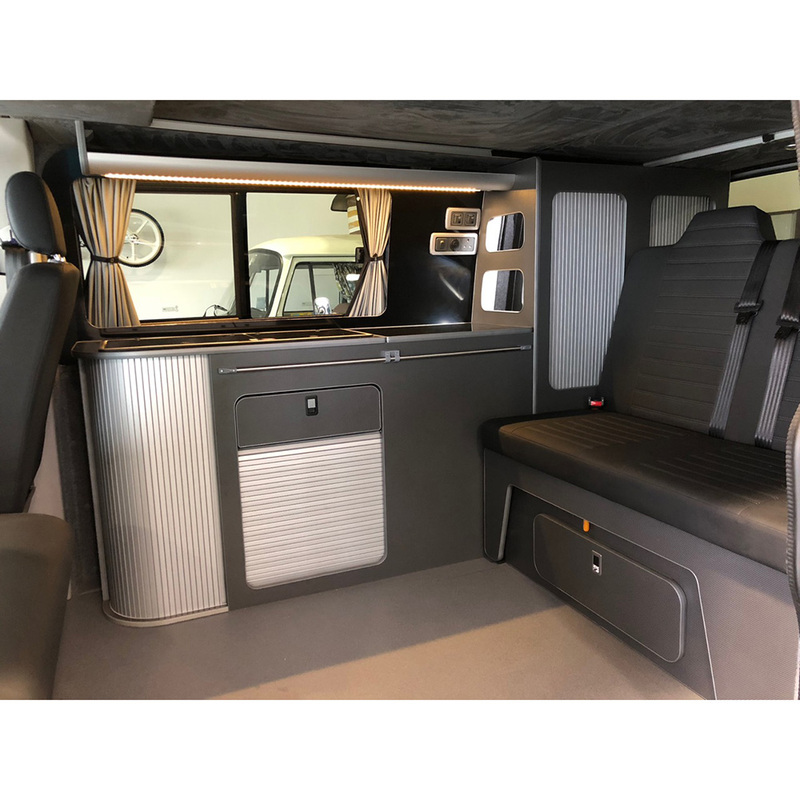 It has covered just 28k miles and has 21 months warranty remaining. 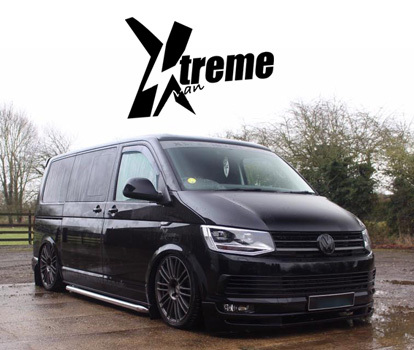 This vehicle is one of our 'Brand New' ultra modern, high spec conversions. Handcrafted and finished to the highest of standards; including soft close doors and drawers and tamber doors. We are delighted that they have been met with fabulous reviews and demand is now very high. 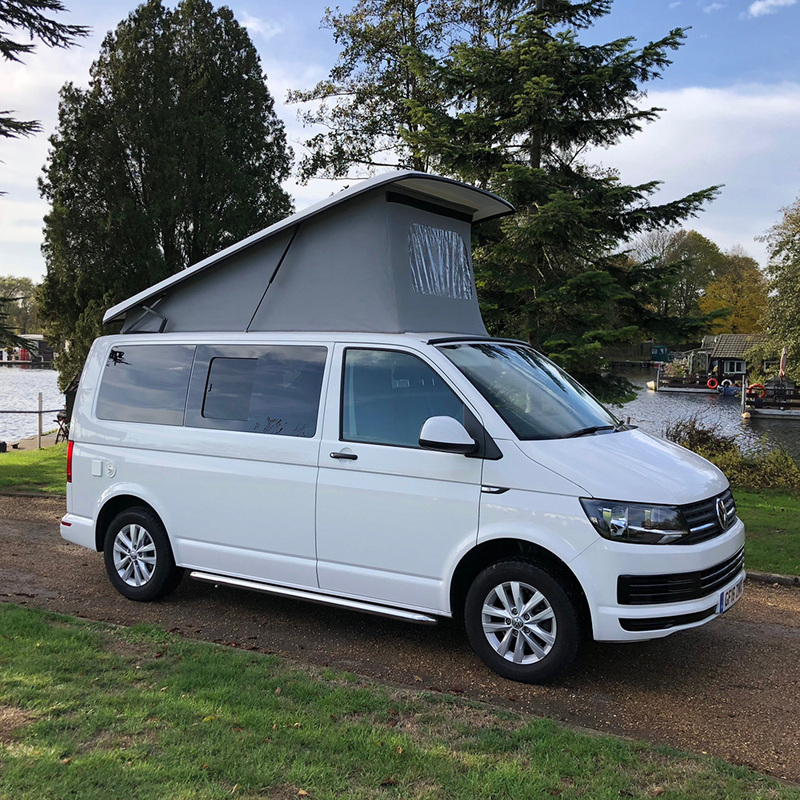 Possibly the most exciting addition to these conversions is the introduction of the incredible HiLo roof. These fabulous roofs are the lowest profile roofs available to date yet at the same time they are also the highest elevating. The scenic canvas is truly breathtaking as it unzips to reveal panoramic views from your pop-top vantage point. Be prepared to be amazed. A brand new HiLo roof with a scenic canvas. This gives you the opportunity to totally unzip the canvas around the roof for a stunning panoramic view. Included with your purchase is 12 months installation warranty and a Habitation certificate and of our all conversions are Insurer Approved. 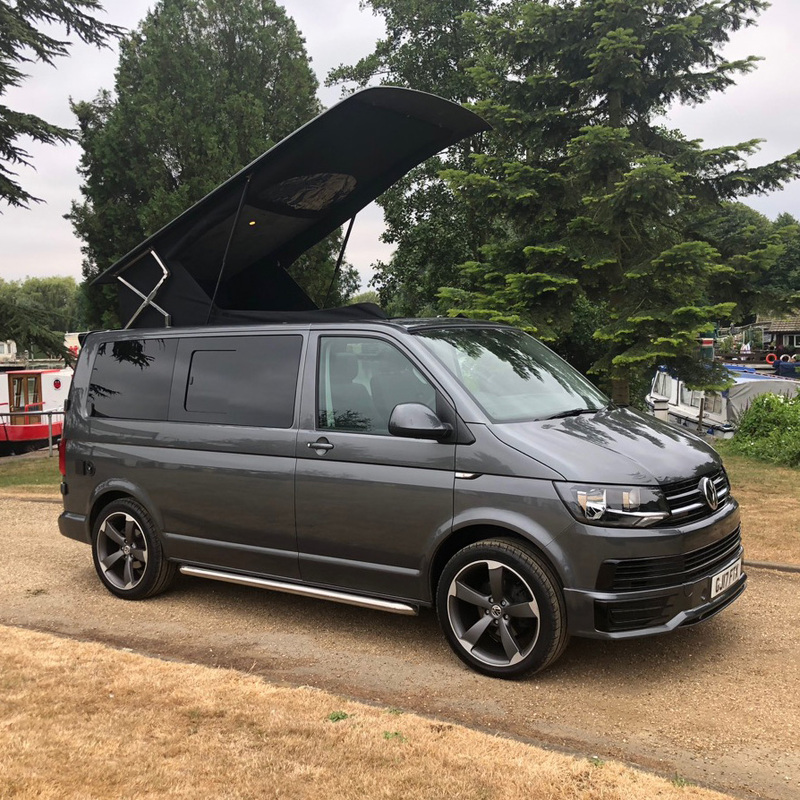 The Campervan also comes with 20" inch alloy wheels, a Bodykit and side bars, which give a totally stunning top spec finish. 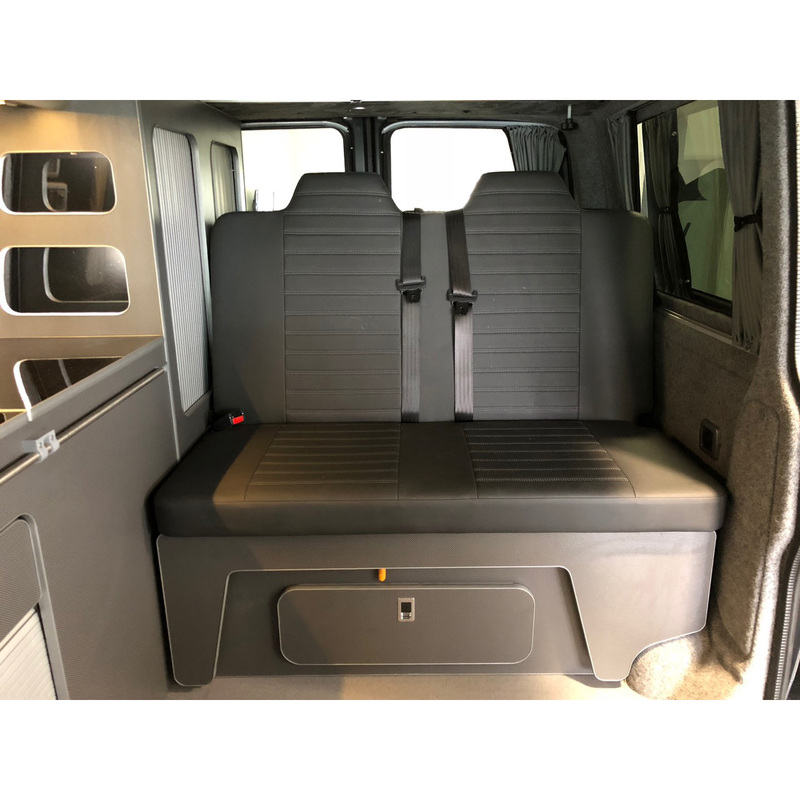 It is fitted with a top quality crash-tested, for optimum safety.